We’re chucking another log on the FIRE party tonight. It’s been a while. We’ve got 5 DJs (including me – I’m doing a laid back warm up set from 21:00 – 22:00). Cloudbass will be playing his usual unusual, Johnny Kendal takes over from him, into Christopher Xtopher (..”Crosstopher”) followed by Archio Banquerta who’s on from 02:00. Try not to miss his intro – they’re usually a sight for sore ears. 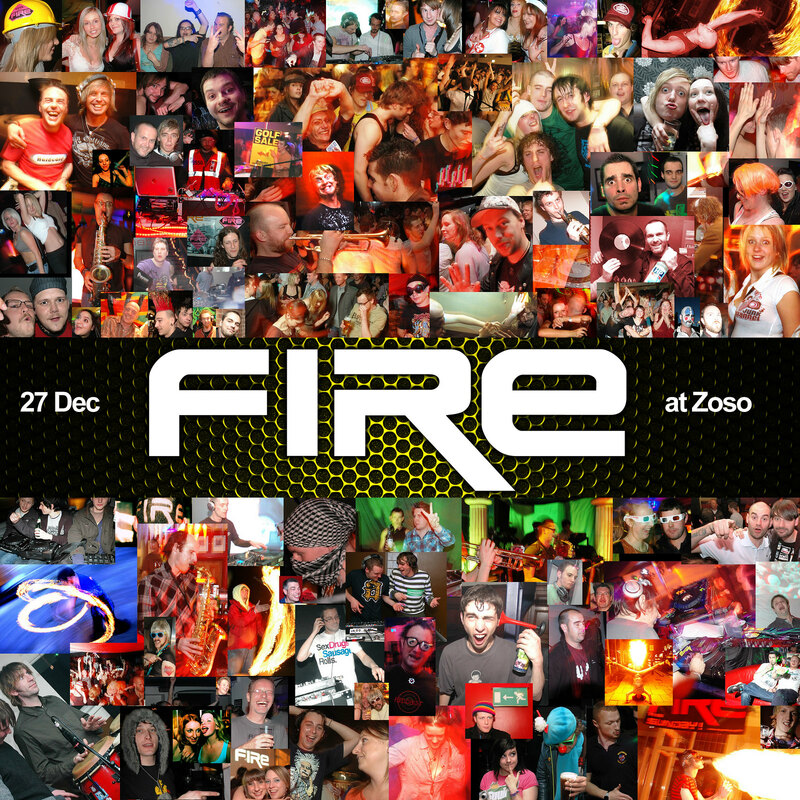 I made the flyer thingy image above by taking a load of photos from FIRE parties gone by. We’ve done 50+ of them over the past 10 years. If you’ve not seen one in action – tonight’s your chance. Not to be confused with the other nights called FIRE (we’re now’t to do with the one in London or Leeds variants). The London one, it pains me to say, beat us to it in the name department by a matter of months, but my research at the time didn’t find them so we (as far as teh internet goes) have been promoting our FIRE party longer. Both of us way outdate the FIRE Leeds lot. They’ve got no excuse. tisk. Right so, I’ll be seeing you there hopefully. All welcome. Free in, the fun starts at 21:00. We’re setting the decks up downstairs – downstairs for drinking the bar dry and dancing, upstairs (speakers piped up) sofas and spreading out your shapes. More of your actual info, can be found here, on the facebook page.